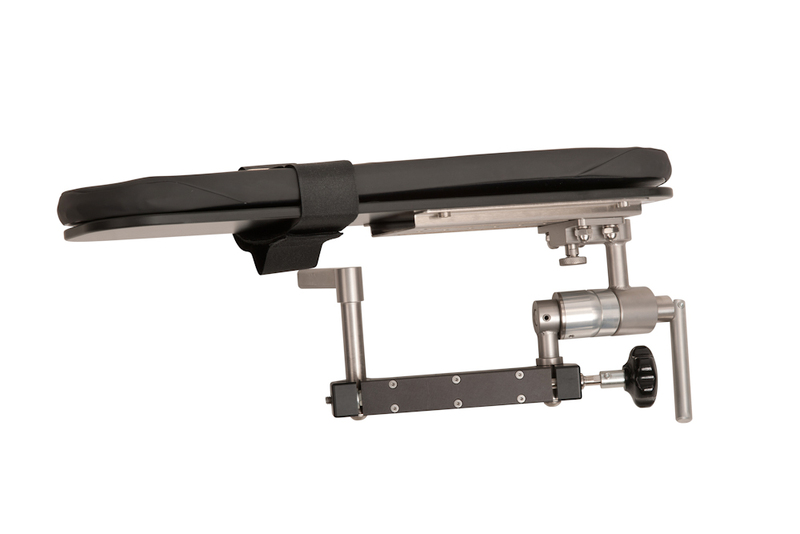 To accomodate prone patient positioning on the Mizuho OSI Spinal Surgery Top, the Articulating Arm Board provides 5 way adjustment to meet patient positioning needs. Warranty: Mizuho OSI guarantees all of its products for a period of one (1) year from date of invoice for defects in material and workmanship with the exception of products which are misused, altered or damaged. Mizuho OSI’s Femoral Hooks and Femoral Hook Support must be cleaned and sterilized according to your hospital’s washing, decontamination, and sterilization procedures before each use. 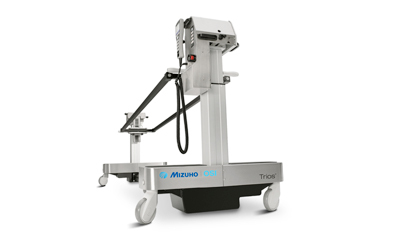 Only Mizuho OSI supplied components and accessories have been tested and approved for use with the Hana Orthopedic Surgery Table. Other manufacturers’ products have not been tested for proper performance when used with the table, and therefore are not endorsed for use by Mizuho OSI.